Our range of lightweight hot melt glue guns offer unrivalled reliability and ease of use. They are ideal for sealing boxes or general use and provide exceptional adhesive melt rate. 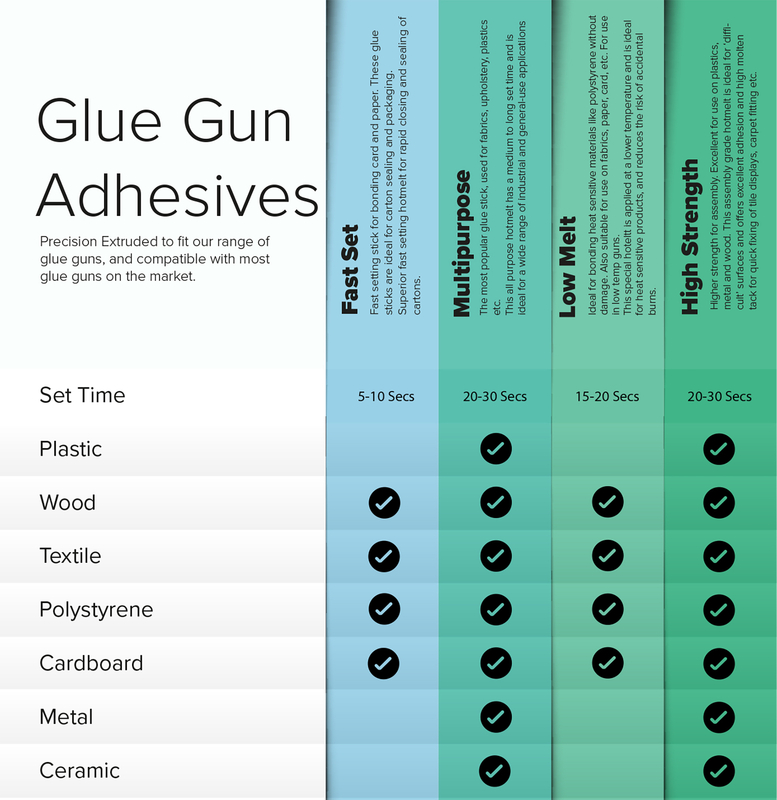 We have also created a handy guide of glue gun adhesives to help choose the correct adhesive.